There is nothing worse than being totally, completely and utterly vulnerable. And yet, that is what we are called to do. When your defenses aren’t up. When you let people “in.” You are at their mercy. They can hurt you. They can…hurt you. Last night, Fr. Mario’s Homily had to do with various interrelated subjects, Forgiveness, Parenting, and the Seventh Commandment: Stealing. I’ll start with the Stealing. Many of us feel that it’s as narrow not taking pens from work, among the obvious big thefts. Fr. made it very clear that it is much, much broader than that. He told us that we can and do steal a person’s dignity and self-worth. This statement alone can be quite broad. Let me start with one application of this statement that Fr. said many people don’t see. He told us that when we see our Brothers and Sisters in Christ, Cold, Naked and Hungry and we do nothing, we are in effect, Stealing from them. When we do not give. When we do not help. When we ignore. When we don’t do our part, we are stealing from them. We are stealing their food, their clothing and their human dignity. I had heard this application of the Seventh before. And it is very easy to ignore. 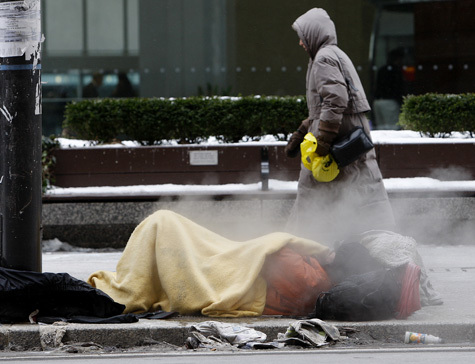 I have walked past a Homeless Person Downtown, in the Winter, lying on the Subway grates, surrounded by the Beautifully Merciless, Powdery White Snow, and have felt bad. Uneasy. Uncomfortable. Guilty! But have walked past. I stole. 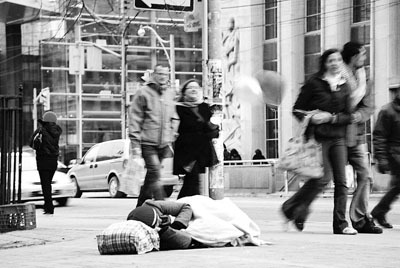 How can we call ourselves Catholic Christians if we’re like everyone else? Whoever wishes to come after me must deny himself, take up his cross and follow me. For whoever wishes to save his life will lose it, but whoever loses his life for my sake and that of the gospel will save it. What profit is there for one to gain the whole world and forfeit his life? 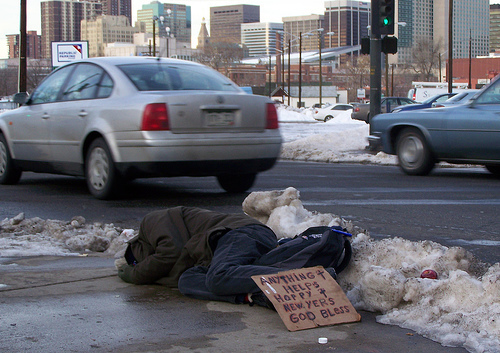 What could one give in exchange for his life? Whoever is ashamed of me and my words in this faithless and sinful generation, the Son of Man will be ashamed of when he comes in his Father’s glory with the holy angels (Mark 8:34-38). Forgiveness. That’s probably one of the most difficult of all. For me, at least. It goes back to being Vulnerable. At the Mercy of others. Then there is also that Stinkin’ Pride. Hurt. Resentment. Fear. A lot of Fear. When someone Hurts you, Lies to you, Betrays you…They in essence steal you dignity and self worth! Christ calls us to Forgive. When they do hurt you, we are to give them the benefit of the doubt. We are to believe and trust and God does, that they will do their best to not do it again. 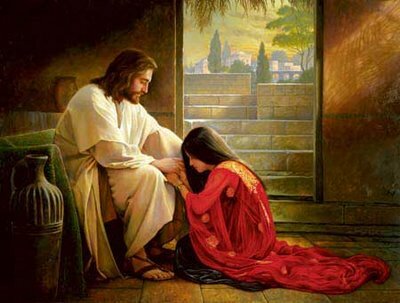 Then Peter approaching asked him, “Lord, if my brother sins against me, how often must I forgive him? 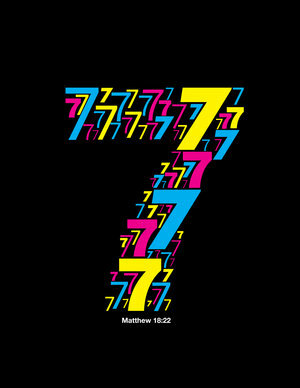 As many as seven times?” Jesus answered, “I say to you, not seven times but seventy-seven times” (Matthew 18:21-22). Depending on your version, it will be seventy-seven as my New American Bible states, or as the NKJV states, “Seventy times Seven,” either way, we are to forgive as God does, Infinitely. Forgive and be Forgiven. The theoretical aspect is Beautiful. The Application of it is in the very least Difficult. God does it. Jesus DID IT! 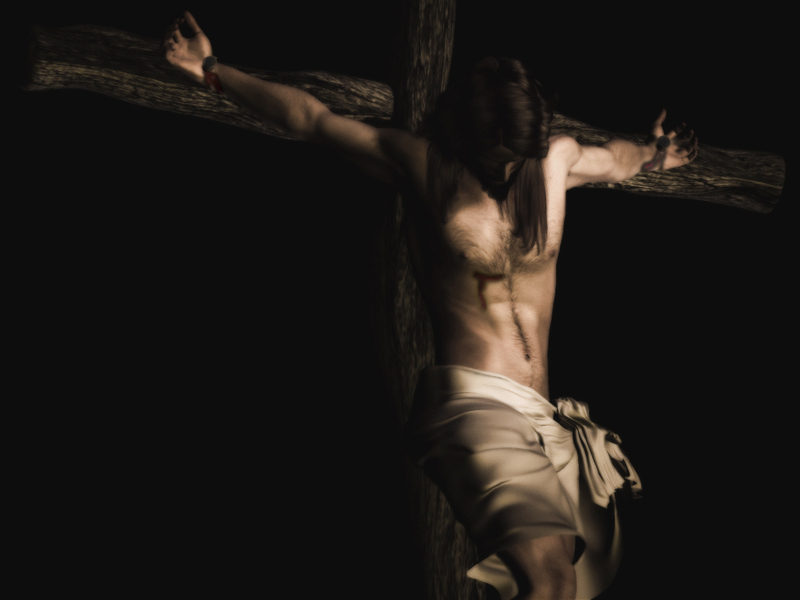 Even upon the Cross He forgave Us! Why then is it so difficult? As I sat in the pews, I heard Father speak. I was moved. I wanted to reach out and Forgive. At that moment I was filled with Resilience, Fortitude, Love. And then we left the Church. That wall came up. Hurt chokes and overwhelms you. Fear takes over all reasoning. And it is all in Theory once again. How can I be a good Example to my Children? How can I Parent properly when I can’t live my Faith? Prayer. Nourishment from our Lord via Communion. Nourishment for my Soul by listening to His words. Letting myself be guided and inspired by Father Mario’s Inspiring Homilies, which thereby requires attending Mass. Surrounding myself with “Weird” People that live their Faith. Not give up. Though I fail, and will Fail Seventy times Seven times, Never, Ever stop Trying, for Myself, for My Well-Being, for My Families Well-Being, for My Children. And therein lies the Parenting.